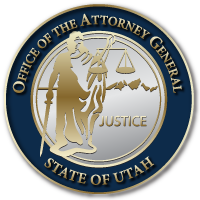 The Utah Attorney General’s Office mourns the passing of a great man and influential community leader in Robert “Archie” Archuleta who dedicated his life to furthering justice for all people and building stronger bonds of friendship throughout our communities. Archuleta championed many roles in his lifetime and consistently worked to leave people and places better than when he’d found them. He was an influential member of the Utah Latino community, educator, mentor, advocate for civil liberties and peace, and fought with honor and respect for human rights for minorities. Above all else, his kindness and passion for the community around him inspired people to do the same. A memorial service celebrating his extraordinary life will be held on Saturday, March 2nd. More details regarding time and place will follow. This entry was posted in Recent Posts and tagged Archie Archuleta, Attorney General Sean Reyes, Remembrance on February 5, 2019 .